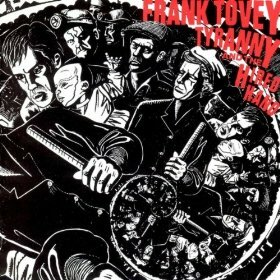 Itinerant worker, union organizer, labor agitator, cartoonist, poet, musician, composer—murdered by the judiciary in collusion with the mine owners who wished to silence his songs. They killed a man but gave birth to a legend. 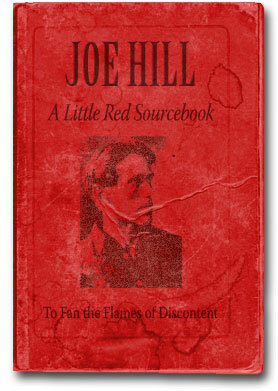 The last weekend of August 2011 we had an unusual opportunity to honor Joe Hill and what he stands for. 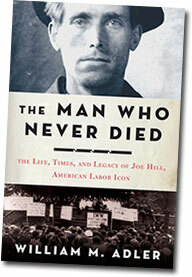 We at Bread and Roses Workers’ Cultural Center in Denver held two days of events for that purpose to coincide with the publication of Bill Adler’s exhaustive and dramatic new biography, The Man Who Never Died: The Life, Times, and Legacy of Joe Hill, American Labor Icon. We are looking forward to commemmorating th 100th anniversary of Joe’s execution in 2015. 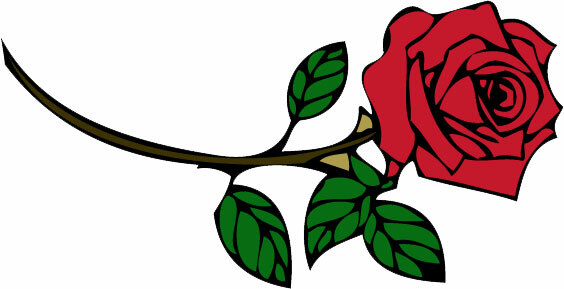 If you would like to participate in any capacity, send an e-mail to info@workersbreadandroses.org. If you have something to add to the list below, please contact us at the above email address. The library has several other items, including Hill’s papers from Sweden, some of his artwork, photographs of him and his funeral, etc. 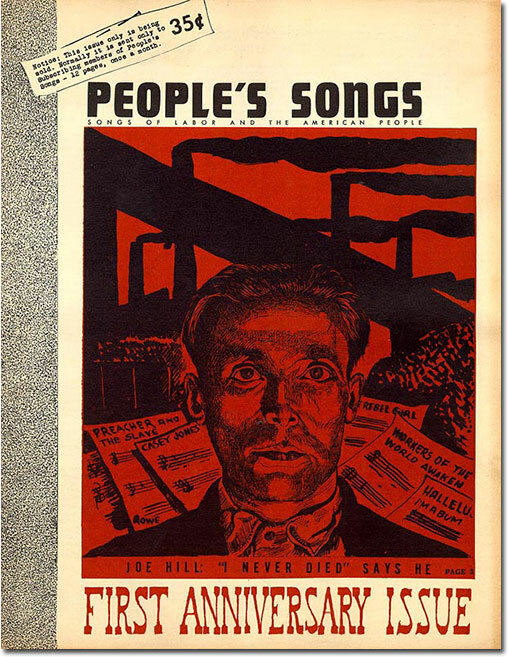 While the People’s Songs organization may be forgotten to many, several of its members are household names: Pete Seeger, Lee Hays, Woody Guthrie, Josh White, Earl Robinson, Ronnie Gilbert, Burl Ives, Alan Lomax. 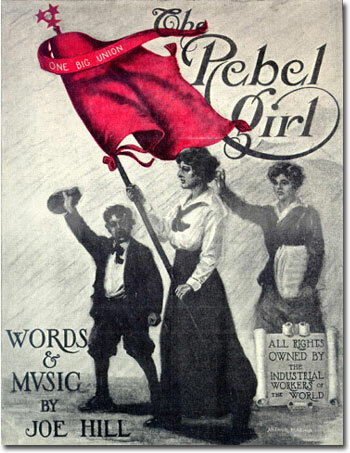 The image above comes from the Labor Arts virtual museum. His murder done by governmental lies. It sings while some small remnant gives it birth. Joe Hill’s eternal voice sings on in ours. 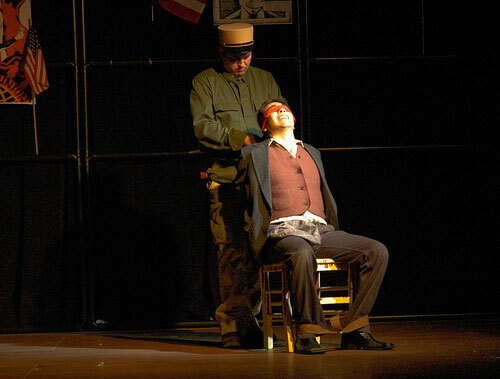 “Joe Hill,” a two-page portrait near the end of Nineteen Nineteen by John Dos Passos, from his trilogy U.S.A.
From Barrie Stavis’ The Man Who Never Died, a 2009 production by Association for the Retention of Cultural Heritages (ARCH) at Lafayette’s Harlequin Center for the Performing Arts.